MONDAY, Dec. 28, 2015 (HealthDay News) -- For decades, doctors have urged heart failure patients to slash their salt intake as a way to preserve their health. But a new study suggests -- but doesn't prove -- that that advice may be harmful, potentially increasing a heart failure patient's risk of death or hospitalization. Patients with moderate heart failure who stuck to a low-sodium diet were 85 percent more likely to die or require hospitalization for heart disease, when compared to similarly ill patients who didn't restrict their salt intake, the researchers found. "The conventional wisdom has been that salt is bad for you," said lead researcher Dr. Rami Doukky, a cardiologist and associate professor at Rush University Medical Center in Chicago. "This study says, not so fast. Maybe we should take that, no pun intended, with a grain of salt." However, Doukky and other cardiologists warned that the study findings are very preliminary and should not be interpreted by heart failure patients to mean that it's OK to reach for the salt shaker. Rigorous clinical trials are needed to further test the safety of this hypothesis, the experts said. "The study is meant to be an eye-opener, that we need to investigate this matter more. We used to take it [salt consumption] for granted, and now it is time to address it with more definitive trials," Doukky said. Physicians have long assumed that salt is bad for heart failure patients because the mineral causes the body to retain water and pull additional fluid into the blood vessels, Doukky explained. Physiologically, the assumption makes sense, said Dr. Clyde Yancy, chief of cardiology at Northwestern University's Feinberg School of Medicine in Chicago. Heart failure patients struggle with fluid retention because their heart beats too weakly to fight the force of gravity, allowing blood and water to build up in their lungs, feet, ankles and legs, according to the U.S. National Institutes of Health. Salt also increases blood pressure by drawing water into the arteries and veins, according to the American Heart Association, and high blood pressure is a long-known risk factor for heart disease. However, a handful of recent studies have called those long-held assumptions into question, suggesting that a low-sodium diet might actually be harmful to heart failure patients, Doukky said. To put it to the test, Doukky and his colleagues gained access to data from a clinical trial that followed heart failure patients an average of three years and tracked their salt intake using a food questionnaire. The researchers examined 833 patients from the study, including 130 patients who followed a sodium-restricted diet. They were matched against 130 patients who had no restrictions on salt intake. 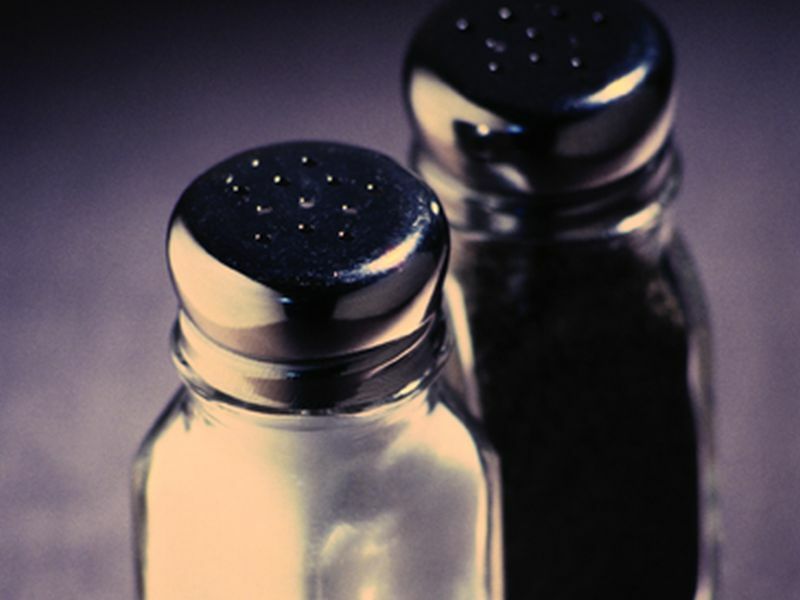 About 42 percent of heart failure patients following a low-sodium diet wound up dying or hospitalized for heart problems, compared to 26 percent of patients with no salt restrictions, the researchers found. "To our surprise, we found that patients who were sodium-restricted had worse outcomes than those who were taking sodium more liberally," he said. The study findings were published online Dec. 28 in JACC: Heart Failure, a journal published by the American College of Cardiology. Doukky theorized that cutting back on salt might throw a heart failure patient's fluid volumes out of whack, with potentially harmful consequences. "The idea is sodium restriction leads to a contraction of the fluid volume in the body, and that turns on certain hormones which try to retain fluids in the body and may potentially accelerate the heart failure process," he said. Yancy noted that the new findings also shouldn't be applied to healthy people without heart problems. Salt remains a leading risk factor for high blood pressure, which can cause heart disease, heart attack and stroke.